Senté is the first & only skin care regimen powered by the benefits of Heparan Sulfate Analog (HSA). 86% of patients would recommend Senté Dermal Repair Cream to a friend. JUVEDERM VOLUMA XC is the first and only FDA-approved filler to instantly add volume to the cheek area in people over the age of 21. It works instantly to add volume and subtly lift the cheek area, temporarily reversing the sign of aging. Wrinkles are only part of the aging equation. 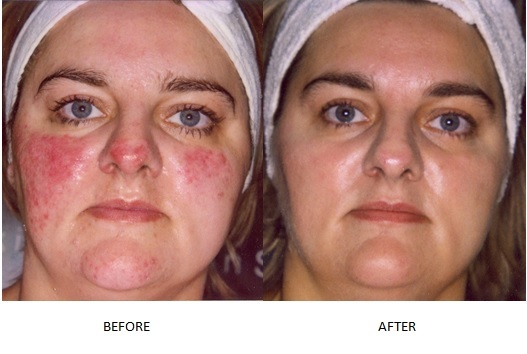 Rosacea is a chronic inflammatory (swelling) skin condition. Most people with rosacea suffer from facial redness, flushing, or bumps and blemishes on the face. 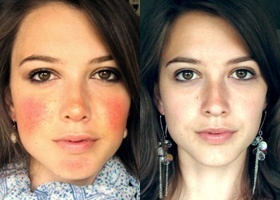 Rosacea is a very common skin condition. People of all skin colors and skin types can get rosacea. It is most common of those with fair skin. It usually occurs in adults age 30 and older and in more women than med. Often, those with rosacea have parents who have or have had it. Mirvaso gel is the first topical prescription medication specifically developed to treat the facial redness of rosacea. Aesthetica Spa M.D. would like to announce that Gigi Genesta will be joining our Spa. Gigi attended Golden West College for Esthetics and received advanced training at the American Institute of Esthetics. 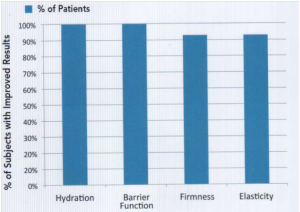 She also had advanced Medical Esthetic Training at Medical Aesthetic Training of Southern California. Gigi is certified in Medical Grade Microdermabrasion and TCA peels. She is also certified in Echo2 Plus Oxygen Treatment System. 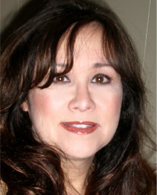 She is a licensed and Certified Esthetician and brings over 30 years of experience. She has Experience working with Cosmetic and Plastic surgeons in Beverly Hills and Newport Beach. 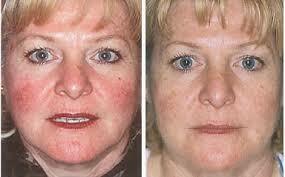 She has also worked with Dermatologists in Los Alamitos and Pasadena. Gigi will bring her welcoming presence and wide range of skin care expertise to assist patients with acne, anti-aging and many other skin issues. 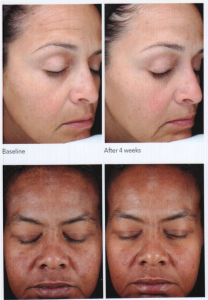 different chemical peels she uses for anti-aging to improve the texture of the skin and help with fine lines and wrinkles. These include, TCA, Jessner’s, Glycolic, Lactic, Vitalize, Retinoic, perfect 10 and Vi- peel. Gigi is an expert at evaluating your skin’s needs. She has a vast knowledge using these skin care products; Topix, Zo, Obagi, Meso Esthetics, skin Ceuticals, Nia, Vivite, Elta MD, Neo Cutis, and Brand MD. Let her recommend a treatment program or skin care regimen designed just for you! Call for your appointment at (909) 949-9690. NIA24 products were extensively tested for skin compatibility, allergic responses, efficacy and were also proven to be non-comedogenic. Niacin increases circulation to help generate more vital cellular regeneration. You may feel a warmth or blush upon first application. This is proof that Pro-Niacin is hard at work to help stimulate natural repair processes to healthy skin cells, energize skin to promote healthy skin function and a more vital appearance, and to strengthen the skin barrier for overall resilience and improve damage resistance. As your skin barrier increases, absorption will stabilize and blushing subside. By stimulating skin’s natural barrier function, NIA24 builds stronger, better skin that’s more resilient and resistant to damage. By improving the skin’s barrier function, overall skin tone and texture improve. 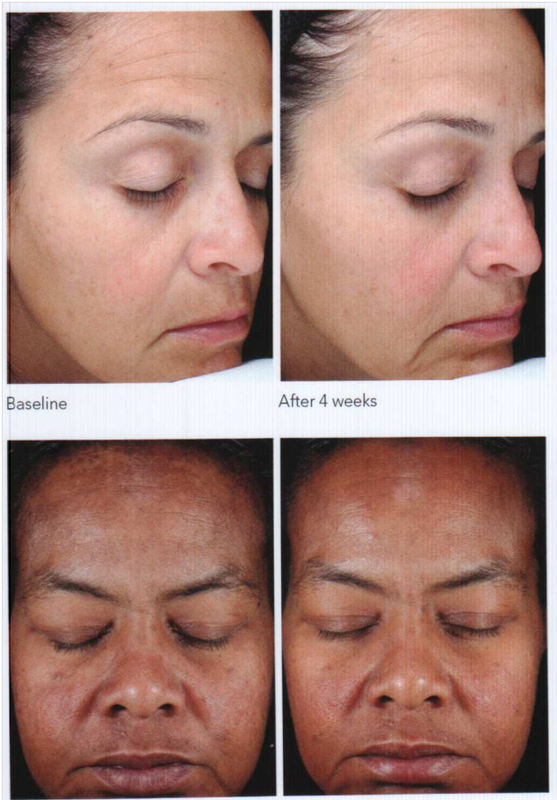 NIA24 reduces the appearance of visible brown spots, hyperpigmentation and lines specifically associated with sun damage. Without it, skin falls prey to daily sun and environmental stresses that slow skin’s self-protective function and speed the visible signs of aging. This special form of Pro-Niacin delivers immediate and residual benefits, as well as continuous dermal delivery of Niacin without vasodialation and photosensitivity. 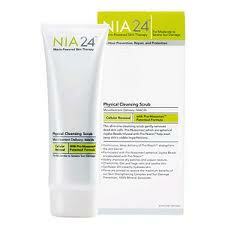 This all in one cleansing scrub gently removes dead skin cells. Pro-Niasomes, which are spherical Jojoba Beads infused with Pro-Niacin, help wash away skin’s visible imperfactions. This ultra-rich eye cream quickly penetrates to deliver critical anti-aging, firming and brightening actions to the total eye area. Correct today’s imperfections from darkness to puffiness to lines – while fighting future damage. Formulated with patented and clinically proven Pro-Niacin that stimulates the natural repair process and builds the delicate skin barrier around the eye. Neither heavy nor too light, this fortified cream visibly reduces the apperance of fine lines and wrinkles by enhancing the skin’s barrier function, accelerating repair and delivering continual moisturization. This age defying serum is designed to support the skin’s dermal renewal process and provide antioxidant protection to help minimise and combat the first signs of ageing. It combines 10% pure Vitamin C with Ultraceuticals powerful peptide Microelastin to help improve skin resilience and firmness. Non-comedogenic. Paraben Free. For all skin types. We are now carring a new product for all the women that have fine lines, wrinkles, pigmentation, and for a post-procedure skincare regimen. This system is easy to use and gentle on the skin. As we age, and with exposure to the sun, collagen and elastin breaks down causing our skin to look less firm and more wrinkled. Sun exposure and aging can also cause dark spots to the skin, making our skin look less even and a more aged look. ﻿To prevent future signs of aging every woman should have a skincare regimen that helps stimulate and rejuvinte the skin to give it a more even, youthful, vibrant look. Vivatia has been designed to solve this problem. It is the only system that uses a proprietary foam delivery system, that delivers higher, more effective levels of anti-aging ingredients gently to the skin. Ingredients like retinol, hydroquinone, vitamin c, antioxidants and peptides. This system is designed to be easy to use and gentle on the skin. 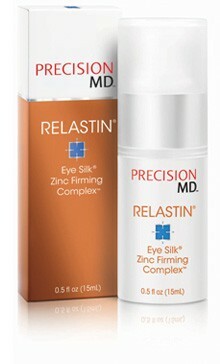 Relastin Eye Silk is a breakthrough technology that is clinically proven to visibly improve sksin firmness, elasticity, and improve dark circles and puffiness. It is the only product with proprietary Zinc Firming Complex that can deliver firmer-looking skin. Eye Silk delivers firmer looking skin through a unique texture that lives up to its name- it is a silky formula unlike any other eye cream you’ve tried before. It feels great and really works. It is gentle enough to use under the eyes and on eye lids. In fact, Relastin Eye Silk was the winner of Allure’s Best of Beauty Award for best eye cream 4 years in a row. Sun exposure, cigarette smoke, and stress can all deplete the skin of its elastin. 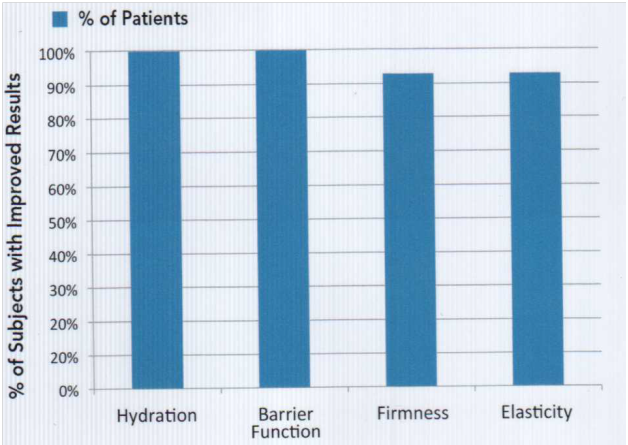 Elastin is a protein in your skin that makes it smooth again after contracting and stretching. Your skin virtually stops producing elastin in adolescence; and, as you age, your skin becomes less capable of springing back after stretching. This causes fine lines and wrinkles to form around the eye area. We would like to present you with some helpful tips for home self examination for Melanoma. Be sure to click on the picture below to view the image a little larger. Now offering new Dermaceutic Peel! Our office is now offering the new Dermaceutic Peel, click the link below for more information. Dr. Steven’s gives skin cancer lecture to Lockheed retirees. Dr. Stevens had the pleasure of giving a lecture on skin cancer detection and prevention to Lockheed retirees. The lecture was held in Claremont on October 9, 2012. She instructed them on self examination, sunscreen usage and what precancerous and cancerous lesions look like on the skin. So for a quick reminder, if you have any questions or concerns about any spots you may have, please call our office to schedule an appointment!